The Queen Elizabeth Theatre was the winner of The Performing Arts Centre of the Year Award (under 1,500 seats) in 2012. 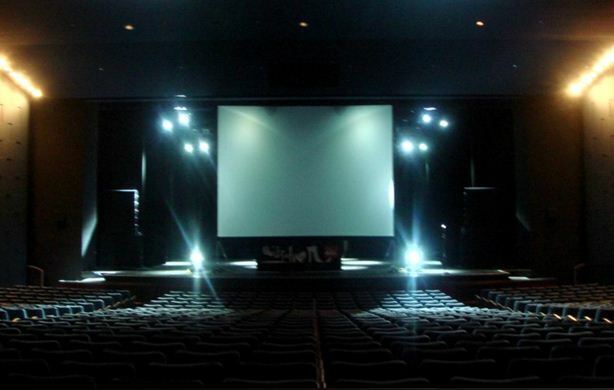 Its high ceiling and soft, comfortable seats provide an ideal venue for stage shows. 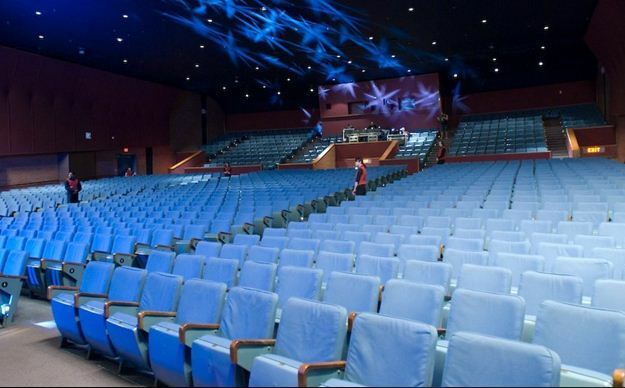 The Queen Elizabeth Theatre is located at 190 Princes’ Blvd, on the grounds of the Exhibition Place (CNE). The venue is equipped with a full bar and serves mixed drinks, wine, beer, etc. There is a snack bar where you can purchase snacks, pizza, etc. There is also an ATM machine located in the venue lobby. We share the air. Please refrain from wearing heavy scents as there will be people in the audience with chemical sensitivities. Thank you for your consideration. This year, our event takes place during the CNE. Since the Queen Elizabeth Theatre is on the CNE grounds, your ticket to George Noory Live will grant you complimentary all day access! The Canadian National Exhibition (CNE) is Canada’s largest community event and one of the top 10 agricultural fairs in all of North America. Founded in 1879 as the Toronto Industrial Exhibition, the CNE has enjoyed a distinguished history as a showcase of the nation. People came to experience the latest innovations in technology and commercial products, to enjoy the popular entertainers of the time, and to engage in a collective community celebration. Although the CNE has changed significantly over the years, it continues to be one of Ontario, Canada’s great annual traditions and an event that offers substantial entertainment value for your money. Taking place over the 18 days leading up to and including Labour Day, it is affectionately embraced as an end-of-summer ritual by more than 1.3 million visitors annually, visitors who reflect the rich diversity of Toronto and the region. The gates of the CNE open at 10am and close at 10pm. The grounds are open from 10am - Midnight and the casino is open from noon until 6am. If you have picked up your ticket(s) in advance, you simply show your ticket at any of the CNE entrances for direct access into the grounds. If you have not picked up your ticket in advance, you will need to purchase a voucher at any of the CNE entrances (approximately $30 cash) for access into the grounds. You may then bring the voucher to the Queen Elizabeth Theatre box office to be reimbursed in full when you pick up your pre-purchased ticket or we will put the cost of the voucher towards your event ticket(s) when you buy your ticket(s) at the venue box office on Saturday August 22nd.